This program is specially designed with an objective to create a quality manpower in the field of VLSI design , imparting quality hands on training from concept to project using industry standard tools and practices. VLSI Training in Chennai with placement.Wiztech provides the, which is the best practical training for engineering candidates to get the best core industry jobs. Wiztech provides international training certification with individual focus on industrial oriented training. Very Large Scale Integration (VLSI) is the science of combining thousands of transistors into a small single chip, an example for VLSI product is a microprocessor. The main aim of the project is to design “Design and Implementation of 64-Bit Execute Stage for VLIW Processor Architecture on FPGA. The Silicon Sinfi board is a unique Universal FPGA-CPLD based development board that allows rapid and interactive implementation and debugging of PLC based designs and has been specially designed to take vendor independent programmable devices with a modular architecture in the industry standard factor. We developing VLSI IEEE Projects using all tols with hardware also. We developing your own concepts also. we doing NS2, MATLAB, VLSI & Bigdata ieee own papers also. We are deliver the VLSI projects as per your requirements also fully at minimum cost in chennai, If you have any queries related to this kindly contact to us. Development in VLSI has led to creating compact and high performance computers. 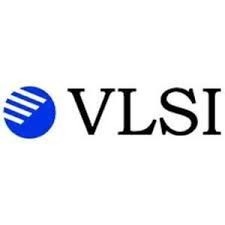 VLSI designers with the ability to design and develop VLSI and embedded systems have great opportunities in the IT and communication industries.